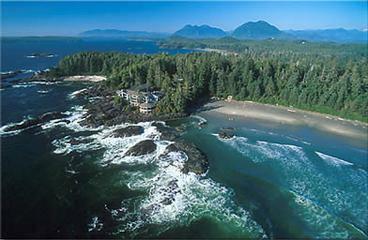 The coastal towns of Tofino and Ucluelet, one at either end of the Pacific Rim National Park, are located on the west coast of Vancouver Island in British Columbia, Canada. These small towns used to rely on the abundance of the forestry and fishing industries, but with these resources dwindling, local businesses have begun to turn to their environment to provide once again. Via planes, boats, bikes and automobiles; tourists travel from all corners of the world to experience the pristine beaches, succulent rainforests and incredibly photogenic scenery. Unlike most of Canada, the weather here is fairly mild all year. Winter temperatures rarely dip below freezing, but as these towns are both located in temperate rainforest climate be sure to bring your waterproofs. The Pacific Rim is very wet indeed. Layers of warm clothes, boots and hats are imperative for a comfortable visit. Storm watching has recently become a new tourist phenomeneon. Visitors will stand witness to the fury of the Pacific ocean while epic winter waves rise and fall. You may be standing in the rain, bundled in heavy raingear watching from the beach. Or warm and cozy by a fire, sipping a martini as the waves smash against the rocks below. Several of the upscale lodges and hotels in the area offer both beach access and luxurious ocean view facilities for their visitors. The variety of beaches along this coast are perfect for walking, hiking and running. Miles and miles of sand, ocean waves, wild shorebirds and mountain views make the Pacific Rim a perfect holiday destination. Wrap up warm and take a walk on the beach, while bald eagles and hunting ospreys soar above. Marvel at the flocks of tiny shorebirds and abundant sea life washed ashore. If you are lucky, you may even catch a rare sight of spray as a grey or humpback whale vents through its blowhole. 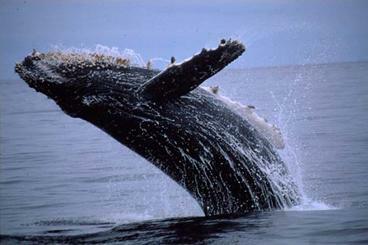 Whale watching is one of the most popular activities in the area. The migration of the grey whales are celebrated with the annual Pacific Rim Whale Festival in March, however whales can be seen all year round in these parts. Viewing with binoculars or a scope is good in several areas. Radar Hill and Amphitrite Point Lighthouse are two of the best. Pack a chair, a flask and your strongest binoculars or scope to get really great views of grey, humpback and killer whales, also known as orcas. 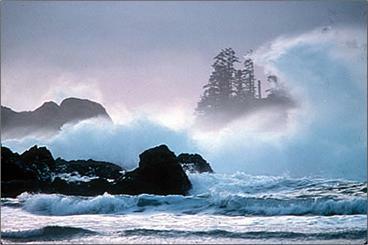 Richard Badman lives in Tofino on Canada's wild west coast. The website is a resource for locals and visitors alike. Featuring visitor feedback and useful information about the attractions in the area. Canada is the second largest country and there are lots of the places which inspire you. Like these are lots of the glaciers, mountains and custom term paper many more nature things. In this article, you try to promote the tourism and give the soft image of the Canada. But fortunately, there are many such applications that can replace FaceTime App if you are using Android device. You are no longer required to search for any Facetime Similar Apps downloads online as you can get the free video calling app directly from Play Store that can offer you the same benefit and features and even more compared to FaceTime App. I like this article very much. Very informative article. Nice to read.